Indonesian meteorological officials say an eruption of a volcano in the strait likely triggered the tsunami. An analysis of satellite data points to the possibility that a section of the volcano collapsed. Smoke continues to billow from the volcano. The officials say a volcanic collapse or landslides on the seabed could trigger further tsunami. Indonesia on Thursday raised the danger alert level for a volcano fresh activity at the crater threatened to trigger another deadly wave, 22ks people have been evacuated and are living in shelters. 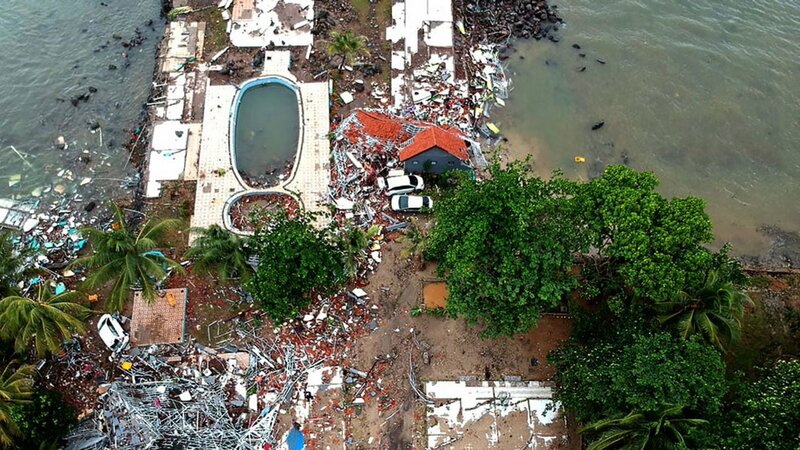 Authorities continue to urge people to stay clear of the coast, already devastated after an underwater landslide caused by the eruption of Anak Krakatau triggered a deadly tsunami that killed at least 430 people last Saturday night. Indonesia on Thursday rerouted all flights around the erupting Anak Krakatau volcano between Java and Sumatra islands, as it spewed columns of ash into the air, days after it triggered a deadly tsunami. A crater collapse on the volcanic island at high tide on Saturday sent waves up to 5 meters (16 feet) high smashing into the coast on the Sunda Strait, killing more than 400 people. Authorities raised the volcano’s alert level to the second-highest on Thursday, imposing a 5-km exclusion zone. Next Director Madhur Bhandarkar, Archana Puran Singh in Delhi for special Talent Hunt Launch!